Little more than a century ago a Sikh institution was founded at Amritsar with the sole aim of imparting education to Sikhs. Khalsa College, immediately became a movement and, every conscious Sikh donated something according to one's means. It rendered great services to the community as itself also multiplied into seven schools and colleges. Today some contractors with their 'Boforing power' have hijacked the management, allegedly rendering it impotent and leaving the institution deviated from its avowed aims. The institution is in a financial mess. So much so accounts after April '97 have not been placed before Council. There are grave charges of irregularities and misappropriation of repairs and construction funds while the politically powerful management is applying every tactics to deny information. Committed Punjabis feel rather more concerned as it is, no longer adhering to its avowed commitment to Punjabiat and Sikhs. Imparting of divine knowledge and promotion, of Punjabi culture have not only been given back seat rather these have been completely ignored. So much so it is discouraging and harming Punjabi language. It is openly refusing admission to students with Punjabi background and prefers students from such schools which are affiliated to boards out of Punjab like the CBSE and ICSE. It is being alleged that it is no longer Khalsa of the pre-independence days it stands corrupted and deviated. Foundation and Development A Sikh is by definition a learner or disciple, Guru Angad the ll Nanak laid the foundation of Sikh education and up to British annexation the education was being imparted through Dharamsalas or the Gurdwaras. There were a few Sikh schools also run by some scholars like Bhai Juna Singh, Lakhan Singh, Ram Singh etc. which enjoyed the Lahore Govt's patronage and grant. Thus education was religion based and the most important institutions were maktab the schools of Maulavis, where the medium of instruction was Persian with Arabic as a subject. The Maktab were open to all the communities. For higher studies there were Madrassas. There were Pathshalas for Sanskrit study and Chatshalas for education in mercantile accounting through the Lande script. The court language of the Punjabi Maharaja was also Persian as all the courtiers; Muslims, Sikhs and Hindus all worked in Persian though they spoke Punjabi. The Maharaja though had strong desire for-development of Punjabi but he could not think over on switching over to Punjabi, which was then considered a rustic language. He even wished to modernise the education and invited one American missionary to start English school but had to withdraw his proposal in view of missionary's insistence on teaching of Bible in the school. After annexation of Punjab the British secretly nourished a hatred of the Khalsa for the bravery displayed during Anglo-Sikh wars by her despite the fact that her generals were secretly in league with the British. The British conspired to weaken this element and the best course they adopted was its division and tried to cultivate a cleavage between the Khalsa and the Sehajdhari. We quote Punjab Administration Report 1851-2. 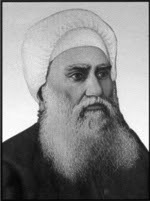 Sir Sunder Singh Majithi (1872 – 1941) Khalsa College owe a lot to this man. He "persuaded Sikhs to donate money to the Sikh institution and involved the Sikh states in this noble project. Once he went to the extent of spreading his 'jholi' before everybody seeking donation. Hindu Mahants who then 'had control over the Sikh Gurdwaras were not fair towards the depressed classes Sikhs. Majithia led a procession of Majahbi Sikhs to the Golden Temple and entered into a dialogue with the Mahants. Mahants were clueless and measureless before the Sardar and agreed that Sikhism don't recognize any caste distinctions. Being Brahmins however they could not afford to bless the congregation with the 'prasad' and preferred to fled from the scene. On the evening of his life Majithia was a disgruntled man. He knew that the British were leaving while the Sikhs lacked leader with some far-sight. He knew that the then Akalis under Master Tara Singh would not be able to secure anything for the Sikhs. The outcome of the propaganda had far reaching consequences. Already there was all round demoralisation in Khalsa. "The Sikhs roughly estimated to be about 1 crore during the height of Sikh State dwindled to a mere 17,16,144 in 1881 census." Its leading communities such as Khatris, Aroras and Brahmins who provided the ideological and logistical support to Khalsa were fast lapsing into Hinduism. Swami Dayanand's Arya Samaj was a big relief for such urbanised Sikhs. These were the days when the Sikhs lost their leaders who possessed some educated numbers. The Mutiny of 1857 changed the whole outlook of the British who felt that preservation of separate Khalsa ideology was also in their interest which meant division of Punjabis. It was an era of education ' renaissance in Punjab Govt. college Lahore was set up in 1864, Anjuman-l- Punjab in 1865. University College in 1870, University in 1882 and DAV College in 1886. It was the British themselves who wanted some Sikh institution to save Sikhism whatever little of it was left. A Sikh college committee with president WRM Haroyed was formed whose efforts culminated into the set up of a Sikh institution whose foundation was laid on March 5, 1892-the premier Sikh education institution was named Khalsa College. Govt. Ievied a takka per rupee on the farmers of Punjab to help the institution financially. Several dedicated Sikhs like Sir Sunder Singh Majithia later put everything of theirs at stake for growth of this tree. Its founders had visualised seeing this institution ultimately taking the shape of a university and accordingly large areas of land were acquired. 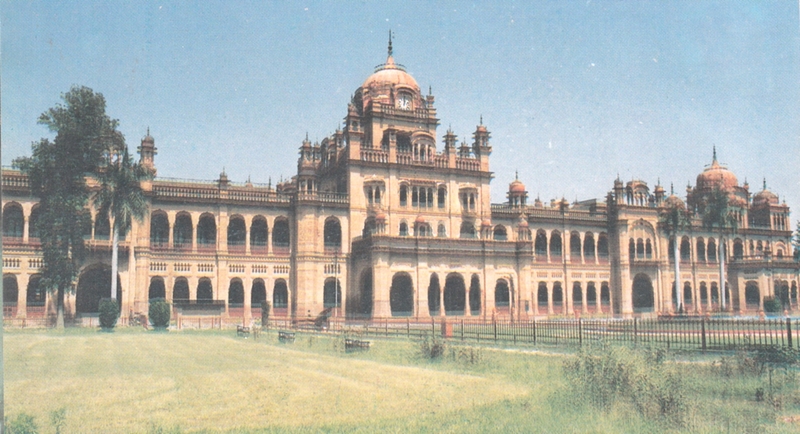 However when the idea of setting up of University at Amritsar was mooted in (nineteen sixties) the Khalsas did not stake any claim for conversion of the college into University rather they handed over a large chunk of land about 250/300 acres to the proposed university for a paltry sum of about Rs.55 Lac. It is being alleged that Bishan Singh Samundari the then Principal of Khalsa College was used for this purpose as he was given a promise of vice-chancellorship and rest of the job was all managed by Samundri. Samundri disclosed the secrets about the management and thus the naivety of Suriit Singh Malithia came handy to them. Had there been a man of Sir Sunder Singh Maiithia's vision Khalsa College would have been a university today. (2) (ii) to promote morality and to preach teachings of Ten Gui'us as contained in Sri Guru Granth Sahib; to imbue students of the Sikh faith with idealism and moral disciplines taught by the Gurus. (3) Further clause 55-B of the Constitution provides that the Sikh religious instruction shall be an integral part of the College and School curriculum and every student shall be required to attend the fixed percentage of lessons. May be many of the allegations of TP Group are incorrect or there is some political motivation behind but the collision of some MC members with the suppliers and contractors and the bank statements of the accounts of some contractors seem to confirm some of the allegations . Crores of rupees are being spent in the name of Repairs and Maintenance under the sweet will and discretion of three members who happen to be contractors. There are allegations that Secretary of the Building committee himself is the proxy contractor under dummy names and persons. Naturally he would not like to allot works on merit and accordingly the college has not floated any tenders to invite competitive bids. It is also being alleged that as some contractors have their construction projects elsewhere, they purchase material at lower rates and the supplier is compensated through premium rates for their supplies to Khalsa College. If there is such case simply the ‘boforing' takes place. We have also been able to lay our hands on a volume of correspondence, which T.P Group has made with the Management. From correspondence one is easily able to make out that the Management has endeavoured to maintain secrecy of information even from those who are legitimately and legally entitled to it. • 10,000 -B. Com. Etc. They are often tight with the finances and have to resort to selling of land.. While other colleges with lower fee structure are doing well and expanding with a speed any body would be envious. lt is a clear signal for the Khalsa well-wishers that they should do something to restore the glory of this pride of the Sikhs. On this front major responsibility lies on the shoulders of educated and intellectual Sikhs. No religious instruction is being imparted neither the glory of Punjabiat being taught in violation of the aims and objectives of the college. Out of 7 institutions run by Khalsa College Society: namely, Khalsa College (proper), College for Women, Agriculture college, senior secondary schools for boys, girls high school, public school, College of Education only 3 schools have teachers for religious instruction (but not well defined curriculum) rest of the institutions do not have any divinity teachers and absolutely no religious instruction is being imparted. Some Congressite elements have infiltrated into the College set up to prevent restoration of such missionary activity and the Principal has fallen in their trap or else there is no reason why divinity teachers can’t be appointed when they are available in plenty - at least in Amritsar. The only impression that the main college gives to its Sikh character is that the Principal insists that the Sikh boy to be admitted in, has to be a kesdhari one. Admission to clean- Sikhs is denied. To some extent it could be O.K but ideally the position should have been vice versa: Clean shaven are admitted and when they leave, they leave as dedicated and complete Sikhs. What is the use of admitting a Pagridhai when they resort to cap subsequently. They would not allow clean shaven is an admittance on their part that they can't convince or motivate because they themselves are hollow. The college has discarded its avowed aim of promotion of Punjabi language and as a policy does not admit such students who had received instruction through Punjabi language. Only such students who are from the Punjab School Education Board are admitted into college as toppers or have some recommendation support. Consequences of its policy are proving detrimental to the Punjabis. Now more and more students are going for CBSE/ICSE syllabi and similarly schools are opting for the ICSE/CBSE affiliations. We know the Punjab Board has comparatively more materials regarding Punjab; its history, culture etc. on its syllabi but Khalsa College is directly causing a harm to Punjabi culture and language by discouraging PSEB background students, what to talk of its aim of imparting religious instruction on Sikhism. Their love of Hindi culture is also evident from the fact case. That the Society has started a public school which they got affiliated with CBSE instead of PSEB. If English medium had been in their mind they would obviously had gone for ICSE [Old Senior Cambridge]. Also there are hardly any convent educated teachers. The management people have accommodated their unemployed nears and dears. Thus a school started by premier Sikh institute has failed to make any dent in its arena. It has become a convenient tool in the implementation of the Congress policy of discouragement and mutilation of Punjabi culture and Sikh religion. If its founders like Sir Sunder Singh Majithia should come alive and see the state of affairs they would all commit harakiri. However one will have to give credit to the principal and his dedicated team of professors for the fine results they are producing i.e. today the college sends a large contingent of students to various professional colleges. In 1996- 97 session 75 students joined medical and engineering colleges. Some people credit the present Principal as a strict disciplinarian who has compelled the adamant and erring teachers to be regular with their classes. Though some of professors are sore how a fine 'academician Prof. K.S.Hundal has been removed by the principal in an authoritative and insulting manner from the services due to mere clash of egos. Repairs & Renovations the crux of matter The most serious allegations against the Management unfortunately lie in the department of repairs and sale of lands. It is a sign of decay and decline of an institution. Had these been on the construction and purchase of land it would have meant that some developmental activity is on. Though the MC has a Building Committee headed by S. Nirmal Singh for collective decisions, but it hardly has any sittings though it is required to meet once a month at least. Thus the matters are decided by a single person. They have accordingly now made the committee dysfunctional as its members were creating a lot of hue and cry and thus causing inconvenience to the MC. It is being alleged that the Bldg. Secry. is all in all in the matter of investment to any extent pertaining to repairs aid construction. It is also being alleged that he plays the most prominent role in the matter of disposal of land by way of sales supported by the vice president S. Bhag Singh Ankhi. 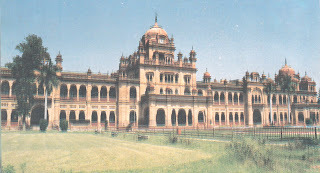 Sometimes back it was felt the century old magnificent building they call Heritage Building of Khalsa College urgently needed repairs and for this appeals were made. S.Parkash Singh Badal the Chief Minister gave a grant of Rs. 1 crore [50% received so for] for this purpose. The Sikhs got ready to repair it free of any charges like they do it to their gurudwaras. Services of one such group, which does a lot of construction of gurudwaras, Baba Labh Singh Kar Sewa wale was sought and the College, got it without any hitch. More grants have since poured in apart from these. It is alleged that the MC has failed to produce accounts of these grants. The Kar Sewa [free repairs] continued for a considerable time length. According to a deputy of Baba conditions were made worse for the Baba as contractors who were otherwise to enjoy the fruits of construction felt deprived and they started creating hurdles for the Baba's men. When the condition became unbearable Baba left the Kar sewa .lt is being alleged that expelling the Baba was a decision of contractors. Since it was mostly free repairs and obviously the charges would have been less on the labour while material would have taken the lion's share in expenses. TPG objected to the ousting of free service and sought information on expenditure. They were startled when the Building Secretary lnformed them that on Heritage building expenditure is Rs.7.12 lakh on material and Rs. 11.82 on labour. According to them labour. charges should have been negligible. They thus suspect foul play. Vide a letter dated 15-3-99 TPG was informed that a sum of Rs. 73.35 lakh had so for been spent on repairs. They suspected another figure; namely Rs.11.38 lacs on the replacement of roofs of 29 staff quarters. Their friends in the staff informed them that roofs of only 3 quarters have been repaired. TPG wants an enquiry here too. They are also suspecting foul play in the spreading of premix on the college roads, which meant an expenditure of about 6 lacs. They ,complain that patches could be seen on the road even after 15 days of repairs. 1.Why Kar Sewa men have been ousted. Who has appointed the present contractors? Was the necessary drill completed before their selection? Leave aside the consultation of Bldg. Comttee. on the matter of repairs and investment of huge amounts. Why expenditure details are not shown to the Committee members. When the old roofs were replaced, a large amount of materials uch as steel plates and timber were recovered. How was this material disposed off? S. Jaspal Singh Dhillon had made a serious allegation informing how a professor caught a contractors stealing the steel plates. Building Secretary and Hon. Secretary Have claimed that a fine has been recovered from the man. But no notice of the stolen timber is taken, why? [MCs version is that some drug edicts were caught and handed over to Police who confessed that they have stolen some steel plates but nothing was recovered from them. Later contractor made the loss good by depositing Rs 13000. TPG alleges that it is admittance on the part of MC that drug edicts too have free entry in the hostels. They further allege how and by whom the loss was estimated at Rs. 13000. It is also alleged that doors and windows of the timber were made in the college works and have been taken out by the contractors for their projects elsewhere. 7. When the material for Kar Sewa is required then the Building Secretary Constitutes a purchase committee and when the material involving lacs of Rs. is required is for consumption of his contractors then whya Purchase Committee is ignored? Building Secretary Tells us that a big expenditure is incurred on the replacement of roofs of the farm house whereas we have got information that these roofs were replaced more than a year ago. 11. Article 56 of the Society provides that the funds will be invested by the trustees to be appointed by the GC. May we know Who are our trustees and when appointed. Similarly claim forms for SC/ST scholarships are got filled in each year from the respective students but scholarships have not been paid to them even once and to this effect also there are complaints which again he not been probed into. ln reply to the above allegations of TP Group the management in GC meeting of Aug.30 circulated among al! the members an unsigned explanation without assigning the office of origin of the paper in which selected allegation have been replied which we have notwithstanding incorporated at appropriate places. That shows that perhaps the Hon. secretary also feels that there is justification in these charges or else he would have signed the statement. TPG alleges that they have information that Hon. Secry. refused to sign the statement while others had no courage to do it. No woman no cry? As we see the Management is failing to produce the yearly statement; balance sheet. TP GROUP says the survival of the present management would be impossible once they publish the Balance Sheet. So why should they create the problem for them? ls property of the Khalsa safe? The TPG has made available for us balance sheet for the year 1995-96. It reveals all is not well on this account as well. According to it 12104 sq. yards of land was sold to a party [or a member of the GC? against which it Paid only Rs, 24 lac. No biana or legal document was signed with the party neither full payment obtained before giving possession. There are such several cases where the Management failed to realise the full amount. Safety of its large areas in Ranjit Avenue are also threatened. It is also being alleged that a politician has also encroached upon about two kanals of land right near the main gate. Recently on July 26, there was auction of some land contiguous to the main college. TPG has again questioned the propriety of this disposal of land and allege that the contractors have unilaterally decided tb sell the land without the approval of President. It's old Khalsa students' union! man? The only old balance sheet available to these writers gives many interesting accounts. Some body in Chandigarh formed a union of the old Khalsas and approached the management. The liberal Management paid Rs.5805408 for the purchase of land while the land registry exists in the name of the old students association. The Khalsa are lion hearted? Are not they? While the TPG suspects a major amount of boforing in this drainage also. ls there any president who is accountable to Sikhs? ln Feb.1997 when the Akali Govt. of Mr. Prakash Singh Badal was being sworn in S. Parkash Singh Majitha who is not maintaining a good mental health and most of the time he is sleeping took oath and sat in the chair that was meant for the Governor. A few months later Mr. Badal withdrew the department from S.Majitha making him minister without portfolio. Majitha tlue to reasons of health resigned from the Presidentship of MC's post of the Khalsa Society. Accordingly the GC meeting was convened for election for the vacancy created. S. Raj Mohinder Singh Majitha's candidature was announced. Raj Mohinder was a candidate of the present management. In the meanwhile some GC members persuaded Mr. Satyajit Singh the grandson of legendary Sir Sunder Singh Majithia to be a candidate. Mr. Satyajit a religious and honest man who owns a chain of industries in UP and even aircraft, was obviously an ideal candidate. When the management felt a clear tilting of scale it sent an SOS and approached Mr. Badal who is the Chancellor of the Society, that elections be somehow deferred. Badal never wanted that his relatives and political allies should fight among themselves and agreed and advised the Rector to postpone the election. The management did not rest here. They approached the family of S. Parkash Singh Maiitha and persuaded them to see that Mr. Majitha withdrew his resignation. Signatures of the ailing PS Majitha were accordingly obtained and resignation stood withdrawn. TPG is legitimately questioning as to how a resignation could be withdrawn when it was accepted. Any way today the management is under the informal control of Mr. Raj Mohinder Singh while Mr. PS Majitha is sleeping. It is alleged that he otherwise was also not very cautious and heavily relied upon S.Nirmal and S.Ankhi. In any case the legal liabilities perhaps fall on the shoulders of Mr. PS Majitha himself. We can only pray for his health. The Constitution provides one Vice President while actually there are three. One VP is also holding the office of Hon. Secretary and he is at the helm of affairs in the management. Constitution provides that the members of the GC have to be Amritdhari Sikhs. Actually there are very few members who have taken Amrit. Hitting below the belt? O.K. But should our educatianal and religious heads have no moral character? Tuming Gold into Brass and vice verca. That X, Y and Z were three corrupt employees of SGPC and Akali Dal. Devotees often present gold ornaments at Golden Temple and elsewhere in its premises. X, Y and Z replaced these ornaments with those moulded from brass and enriched themselves. Now Z has gone mad and can be seen roaming about the Temple premises while X and Y hold very important posts in Khalsa Society and one more premier educational society. SHORT CUT WAY TO SUCCESS The triumvirate then in their twenties learnt the golden formula that every leader or VIP has a strong lust for the second W and it is said they used to provide these services even from their residences. We feel ashamed to write that it is rumoured that even the orphanage minor children were also abused to please their political bosses. Y had elicit relations with the daughter of a Granthi of Khalsa College Gurdwara. She is settled in the States for long now. As it is known love knows no boundaries and distances, its pursuance continued crossing the seven seas. Thanks to the missionary funds of Chief Khalsa Diwan. Some times back Y was to undertake his missionary sojourn to those distant lands and his family got panicky. They apprehended that Y might not return from the States. "No, you have no reason for anxiety," Y pacified the agitated family taking them into confidence for his 'missionary' tour. Y was in fact getting restless that despite his links he could not settle his son who remained unemployed and was getting over aged. Y's fertile mind had had thus an idea. Since he is holding an extremely important post in yet another Sikh institution of Amritsar. He submitted a proposal to the management 'that the American Sikhs are disillusioned on many issues and there is a need to preach to them some of the Sikh concepts. A devoted and enlightened Sikh needs to visit US for this noble mission work". Proposal is accepted and Y himself is asked to proceed to US with a large purse drawn from the lnstitution's funds. Y flies to his beloved and stays with her and pleads her that his son was still unemployed for which she should do something. She adopts Y's son and the adopted son flies to US. All papers ready and the son comfortably joins some job there. Punjab Bank and arranged the job of his son in the bank. But the banks have seldom loose administration as we have with the Sikh institutions. The son found the job not very productive and profitable. How long could the father feed? The son of the father resigned from his job and is taking lessons of 'constructional honesty' from his father. Member of MC but not of university senate- No. it is humiliating. Y had tried to become the member of Guru Nanak Dev University senate but could not succeed. Y is holding a very very important position in another Sikh educational and orphanage institution which often applies for meagre amounts of aids and grants from the university. But Y's ego is only satisfied if he becomes a member of the University. Where there is a will there is a way. Y withdrew Rs. 5 lakh from the Sikh institution and deposits with the University and becomes the member. But Y is yet to offer his expert advise to the Senate and move it with some 'practical' suggestions to introduce some 'practical lessons' for the miraculous rise in career. The article has come to me as a rude shock. Let me make it clear that Khalsa College Amritsar, the premier institution of Northern lndia has a distinct entity and by no stretch of imagination, it can be deemed synonymous with the management. ln the beginning of the article you have traced the history of the establishment of the College and eulogized it as a land-mark in the educational renaissance of the Punjab and the Sikhs. But while indicating you did not realize that the very title of your article is bound to denigrate this august educational institution. Being the Principal of this college, it is my bounden duty to protest against this act of degeneracy on your part while choosing the caption of the article. A casual reader would immediately jump to the conclusion as if there are grave acts of omission and commission in the administration of the college itself. Khalsa College Amritsar can not be bracketed with the management as it has its own image and distinct existence. lf at all you wanted to highlight certain alleged deeds of some of the office bearers of Managing Committee, you should have been discreet enough to give an appropriate title to your article which you have published right on the title page of your magazine. You have blown hot and cold in the same breath. Prof. Kanwaljit Singh Hundal was appointed as the Head of the Food Tedrnology Deptt. by my predecessor Dr. H,S. Soch. He went to Australia and overstayed the period of Leave without Pay. As Principal of this great institution it is my sacred duty to see if a teacher is competent enough to deliver the goods to the students and thus there was no egoistic tendency on my part to post him back in the Agriculture Faculty. Your article mentions that the services of Prof. K.S. Hundal have been dispensed with which is absolutely wrong and baseless. He is still working in the Faculty of Agriculture as he used to do before being appointed in the Food Technology Deptt. I am also surprised at the half baked and distorted information published by you in the said issue. S. Parkash Singh Badal, Chief Minister Punjab announced a grant of Rs.5.00 Crores payable in ten installments of Rs.50 lacs each but you have reduced it to Rs.1 .00 Crore. Similarly the-figures given by you regarding the money donated by certain members of the parliament is also factually wrong. You have posed to be champion of your mother-tongue Punjabi and has pointed out that due importance is not being given for the growth and development of our mother tongue. The arguments advanced by you are that the students belonging to ICSE and CBSE boards are given preference for admission to the 10+1 & 10+2 (Medical), Non-Medical & Commerce streams and the students of the Punjab Sc. Ed. Board are not admitted in those classes. This again is a fallacy nursed and propagated by you. May I point out that due importance is being given to the teaching of Punjabi even to those students who according to you belong to ICSE and CBSE boards, as Punjabi is a compulsory subject in +1 & +2 classes. Only those students who belong to the other states are given the option of Punjab History and Culture. lt is in the interest of Punjab that doctors, engineers and technocrats are produced and that is the objective for which I am making my humble endeavours. I congratulate you for this issue. You have exposed Mr. X and Y of Khalsa College this gang used to manipulate bogus voting at the time of election to managing committee. There is a talk in the newspapers also. ln the SGPC offices earlier there used to be photos of Jathedar Tohra now the walls are occupied by Bibi Jagir Kaur's photographs. Some members of SGPC are drunkards and corrupt. Some of them have illegally occupied SGPC lands. Great information for students !! I like so much. Thank you for your tips provided it was really helpful. .It rendered great services to the community as itself also multiplied into seven schools and colleges.